Come Join Karen Hawkins, Bob Kerr, Claudia Hill, Karen Joyner, and all of us at ORSEA for our Annual Convention May 21st-23rd! The Oregon Society of Enrolled Agents (OrSEA) is a nonprofit organization whose Members are tax experts dedicated to the promotion of the Enrolled Agent (EA) designation and EA’s as The Tax Professionals. 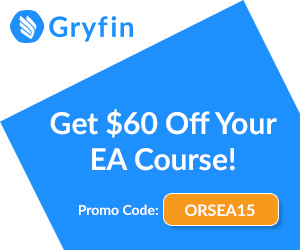 Within this web site you will find information about OrSEA and EA’s. OrSEA provides tax education to tax professionals and tax preparers from around the world with our annual conference and various other events throughout the state, hosted by OrSEA or a OrSEA Chapter. Our educational events cover various tax related topics and carry different certifications. At OrSEA, we are sure that there are educational events to meet the needs of any tax professional. This website is the information and resource center for ORSEA members and ORSEA associates. ORSEA is an affiliate of the National Association of Enrolled Agents (NAEA). We encourage all tax practitioners to consider the benefits of joining and applying for membership. Have you thought about becoming an Enrolled Agent (EA) to develop your career in taxation and representation? ORSEA has solutions to help your professional development. Find out how an enrolled agent can work for you. Have a question? Find an enrolled agent now!